The animal kingdom is the most amazing thing in this world. And thank you for helping it to survive. So appropriate to give thanks to all the field scientists who gather the data so that we can be aware of habitat needs and changes. Awareness and good information is such a big part of knowing what needs to happen to preserve our natural heritage now and for the generations to come. Thanks to John Kellam for the work and for sharing these images with you and thereby us. Thanks so much for your wise words!! I’m still in awe of John’s photos — to say this is a rare glimpse is an understatement, truly. We’re so incredibly fortunate to spy such moments. Yes!! Here’s to those who continually strive to make a difference. And to the protection of endangered species – may there be hope for their continued existence. Hoorah!! Most definitely. Thanks so very much — and thank YOU for sharing the amazingly beautiful world as well, through your words and images! Way cool on the black panthers! BUT…l I have known people to spy the rare black panther, not far from where I was born in Central Florida! Can you imagine…!? Thanks to you and John! Fantastic work and photos. Perfect for Earth Day as we all share it with our fellow creatures! Happy Earth day to you as you share your own photos! Thanks so very much — and on behalf of John, as well! And happy Earth Day, every day, to you!! 🙂 We’re so lucky to witness such beauty. FAINT!!! SO glad to see this wonderful post. Thank you. Thanks so much, and ditto on behalf of John! Such an amazing glimpse into this rare feline, it’s breathtaking. Stunning! The best part about blogging is the connection with people. MOST definitely — how else would we normally get such a glimpse into this gorgeous endangered animal? I’m always in awe of the community. Sometimes, pictures are worth a thousand words — or far more. One of the great gifts of the internet is that it allows us to see so much that otherwise would be only words on a page or drawings.I think especially — but not only! — for children, it arouses curiosity and interest. That can lead to life-long commitments, and a healthy respect for the world we live in. You’re absolutely right —I’m continually in awe of the community we find here; the wealth of beauty and efforts towards our world. The things we’re able to witness, such as John’s rare glimpses into this gorgeous endangered animal, are incredible. Kudos to you for giving credit to the wonderful folks who monitor our natural world and its inhabitants! John has a pretty special job and that has to be the cutest fur ball I’ve ever seen! Keep up the good work in attempting to educate those of us who may get so busy rushing down the freeway of life that we forget to look out the window to see what’s happening to our planet. It’s truly amazing the community we find here; and the beautiful things they all do for our natural world. I’m continually in awe. 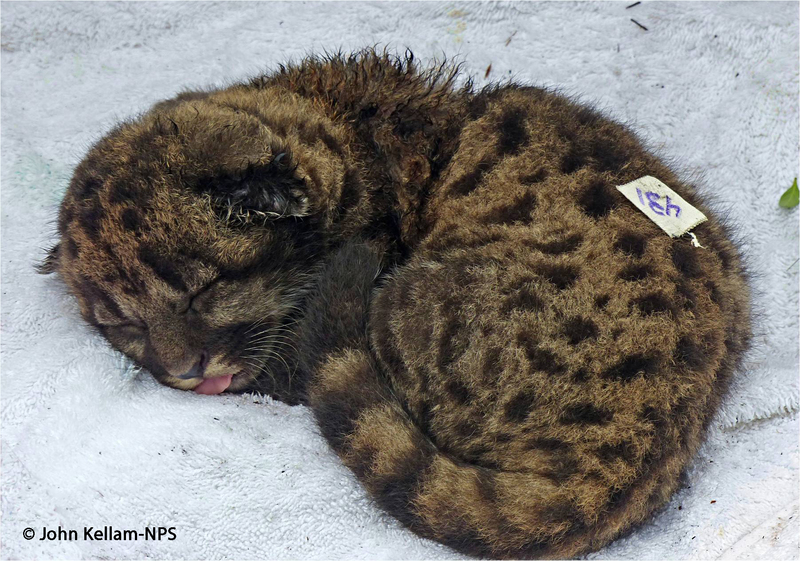 To have such a rare glimpse into the lives of this equally rare animal is truly inspiring. Every day IS Earth Day! 🙂 And thank you for showing that in your amazingly beautiful images and blog — I always look forward to the species I don’t get to see that often — or at all! The pictures are just great, they are so cute. And you know what, gratitude is always good. Thanks for sharing. 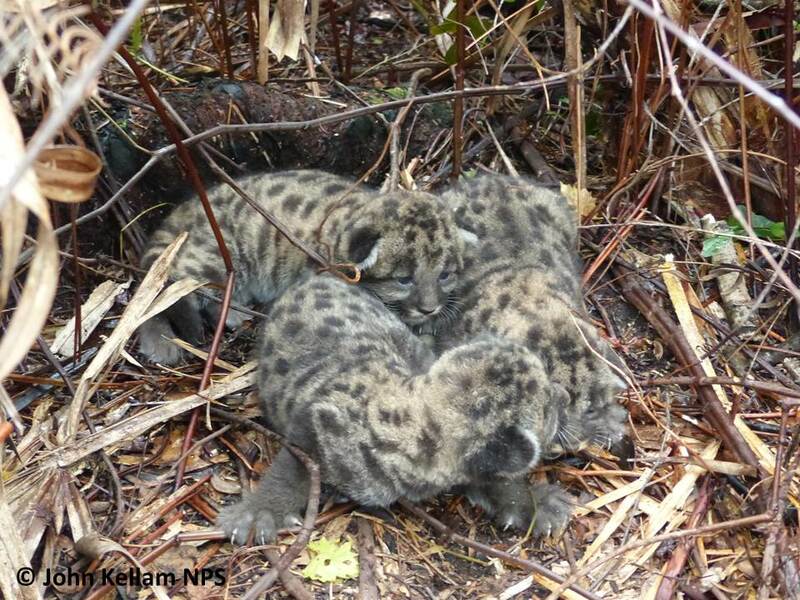 a wonderful post and I love the panther kitten!! Good for you Fey to be committed to preservation and then honoured by the environmentalists for your beautiful photos! It was my complete pleasure — I feel honored to have seen such glimpses from John, truly! Christina, this post is adorable! 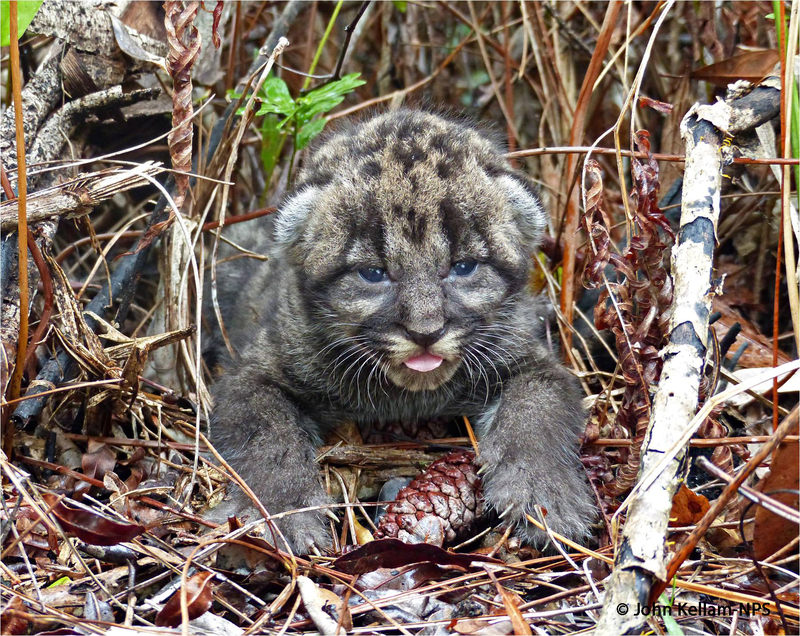 What beautiful images of the Florida panther! Thanks so much for sharing this miracle. You’re incredibly kind — and I’m the same! It truly makes me feel so much better…puts my mind at ease…with how many wonderful people are fighting for, and loving this beautiful planet and all its wonders. You, of course, are one of them as well — I learn an incredible amount from your posts! Your outstanding posts continue to teach. I learn something new each time I visit them. You’re so very kind! I leave all the credit to biologist John Kellam here, and his most amazing glimpses into the lives of these animals. May his hard work help to protect these beautiful creatures!